Periscope’s hearts are a great way for viewers to show their appreciation and support for a broadcaster in real-time. While it’s true that hearts accumulated are “valuable” to content creators and marketers, there’s never been a direct monetary benefit from receiving hearts. 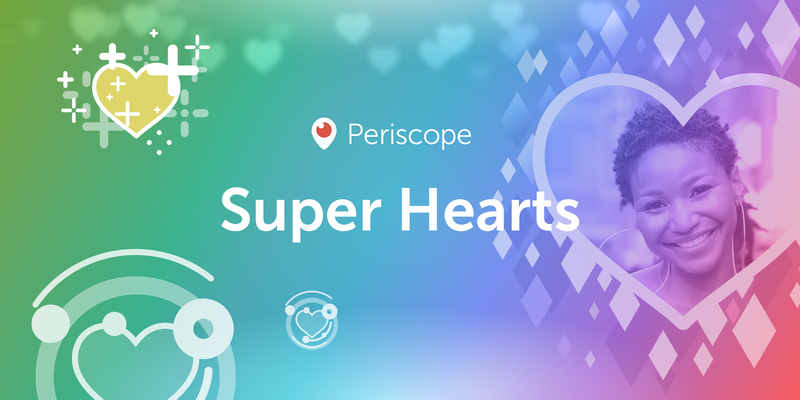 That changes today with the introduction of Super Hearts, Periscope’s first paid virtual gift product. Super Hearts are new types of hearts that are larger, animated and most importantly, not free. To access Super Hearts as a viewer, you’ll first need to buy virtual coins (using real money) from the App Store or Play Store. Once stocked up, you can then send Super Hearts to broadcasters as you see fit. Periscope notes that anyone who sends Super Hearts during a live broadcast will be added to a leaderboard that shows who has “given the most love” to a broadcaster. As I highlighted in my recent Facebook article, social media is all about garnering attention. Paying to get your name on a leaderboard is one sure-fire way to do so. For broadcasters, the feature introduces a new way to monetize their content. While still unproven, it could be significant enough to attract professional content creators to the platform and keep existing broadcasters from jumping ship to a more lucrative service – both of which are great news for Twitter’s bottom line.